PLEASE NOTE: I was given this / these product(s) in exchange for my honest review and opinion, the fact that I was given these does not alter my opinion in anyway. This review is my own personal opinion on the product / company, given in good faith and has not be sponsored or endorsed. None of the links are affiliate links. Unless otherwise stated, all photography is my own. Hiya folks! Just a quick one for you this time to show how I got on painting a fox under the instruction of one of Anna's Patreon videos for October. 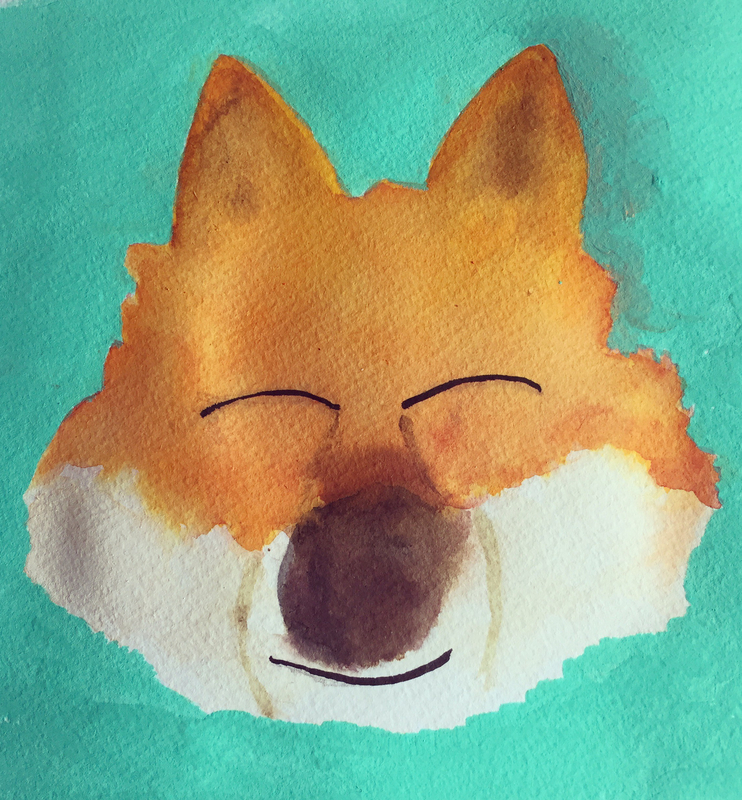 It all started out really well and I used some watercolour paints to create the basic shape of my fox's head. Once the paint was dry I went in with some ink to draw in the eyes - well this was a big mistake. 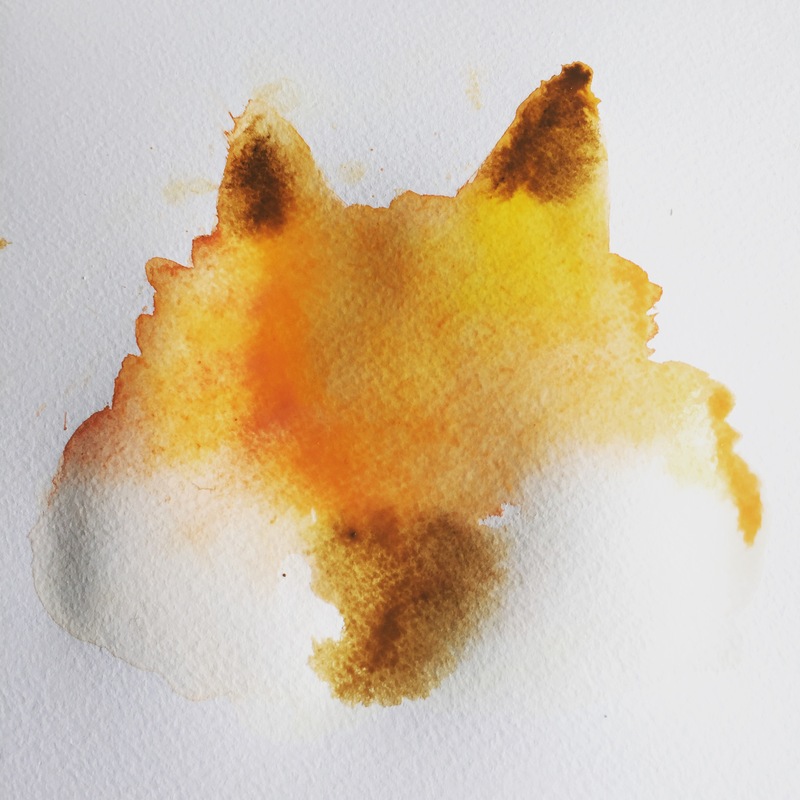 The ink was water soluble and not waterproof and it ran wildly all over the fox's face and stained my picture. To rescue my picture, I ended up covering up all the paint with ink in different colours and, although it is not what I was aiming for, it is not too bad for a practice fox. I'm particularly loving the turquoise acrylic paint I used to make the background. I worked on another with the determination to make a mixed media journal page with a mostly watercolour fox. This time I was careful to use a waterproof pen to draw the whiskers and mouth and pencil crayons to do the eyes and other details. Additionally, Fantastic Mr. Fox by Roald Dahl was a great favourite of mine when growing up so I thought I would use a quote from that book to complete the page. It really sums up the life affirming quality of the story and it gives me a lovely warm feeling inside. 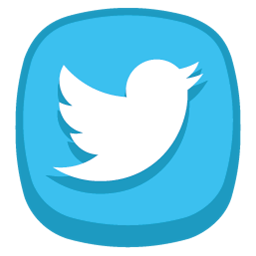 Here is the outcome of my efforts and I am tremendously happy with it. Well autumn is upon us and I can honestly say I'm so happy. 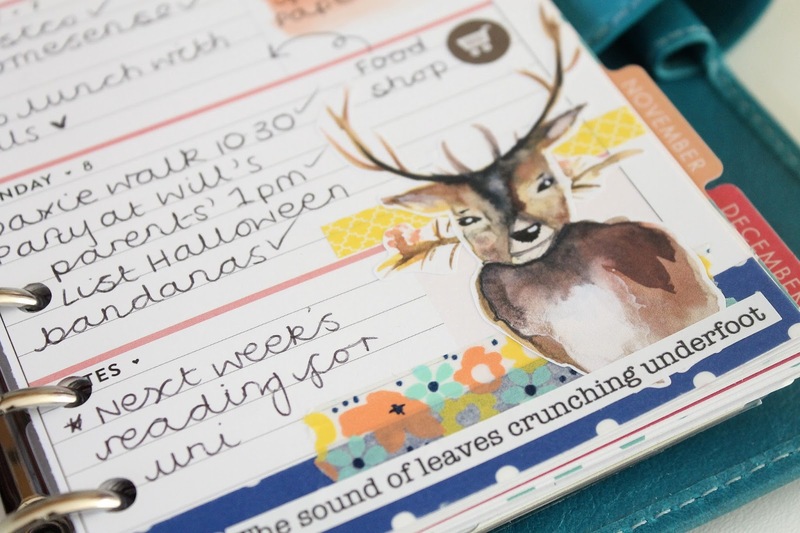 I hate summer and all the heat so as soon as the temperature drops and the tree leaves start changing colours I start Redding my planner for all the activities and days out walking in our local park. This months brambles stickers where beautiful .. Anna gave us design team members a choice between the autumn stickers that where in the kits or a Halloween option, I chose the autumn ones as we don't really do A lot for halloween with the kids being so small. I did an unboxing for the kit on my channel. firstly I wanted to make a new dashboard for my personal planner. I Love the colours of fall so I water coloured the back ground and used some of the decorative stickers to layer on top. I then also added some of the word stickers. I also added a few leaf stickers that where on a previous sticker sheet I also got from he mrs brambles shop that is still available in store now. I then wanted to do a planner spread. 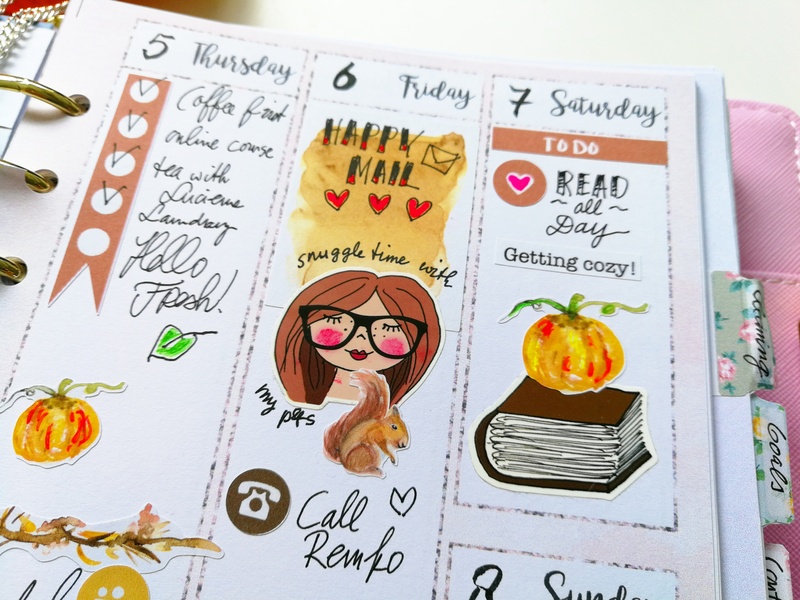 I sed some of the check lists and headers to plan out my MANY to do this month but was still able to use some of the decorative stickers I loved so much as there was some that where smaller so where perfect to be used in this size planner. 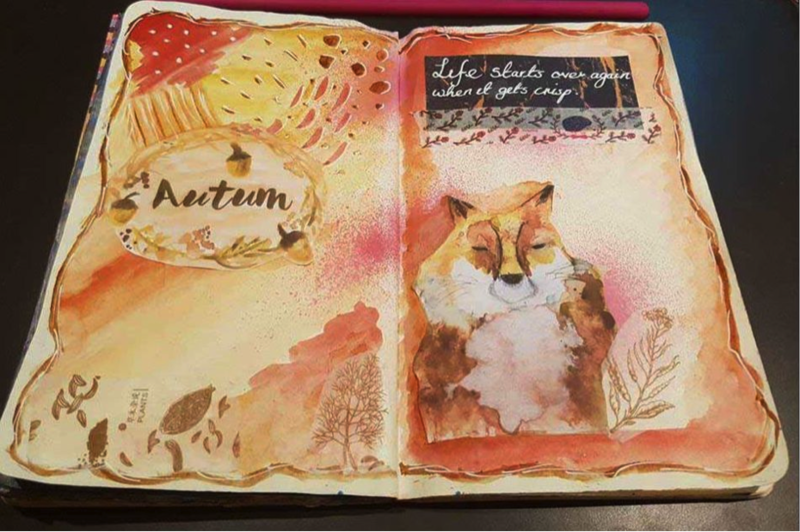 I was very inspired to do a journal page with this months kit too. I used some of the decorative stickers again and created the page on the left. I used a few stickers from the other sticker sheet as mentioned and linked above and the rose sticker was from a crate paper range called carousel. This months kit was amazing the colours in it really harnessed the colours of autumn. 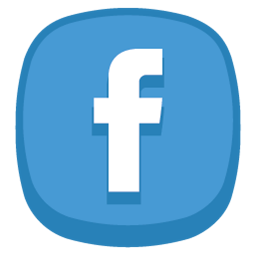 To enter the giveaway please use the rafflecopter widget below. I was very kindly sent a box of goodies from Sizzix to share with you all and to make and share as a result. 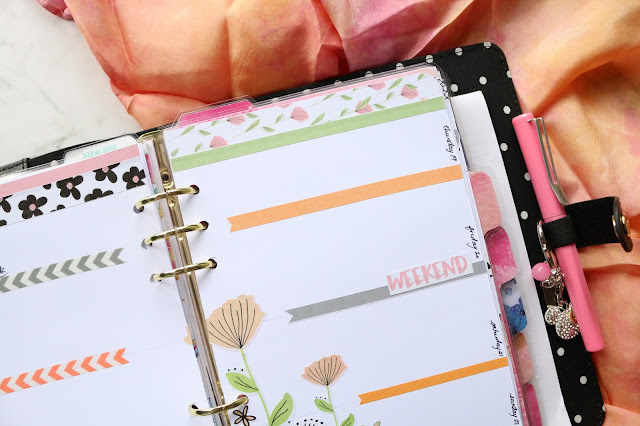 The itema you see are available to purchase from: https://www.sizzix.co.uk/ and https://www.hochanda.com/or https://www.sizzix.com/ if you are in the US as well as other scrapbook companies. PLEASE NOTE: I was given this / these product(s) in exchange for my honest review and opinion, the fact that I was given these does not alter my opinion in anyway. This review is my own personal opionion on the product / company, given in good faith and has not be sponsored or endorsed. None of the links are affiliate links. Unless otherwise stated, all photography is my own. The same also applies to the items I purchased with my own money. The great thing about the fall is that there are so many beautiful colors. It also is finally no longer as warm and that has its advantages. I love extremely thick coats and faux fur boots. Not only people dressing warmer, also animals make a natural fur coat as soon as the days become shorter. It seems like everything looks cuter as it gets colder. It's time for thick long-haired cute animals playing in the woods and sniffing around between the leaves. The only thing I miss are gnomes and long-haired unicorns with bird's nests in their moons. Bunnies and foxes that for awhile become good friends because they can suggle up together because of their fur. I imagine a friendly big fairytale forest for with whirling leaves and animals that are hiding in their burrows and collect nuts through the winter. in the evening, the nuts and fruits were distributed among all animals on a large clearing in the forest so that every inhabitant of the woods has a winter inventory. 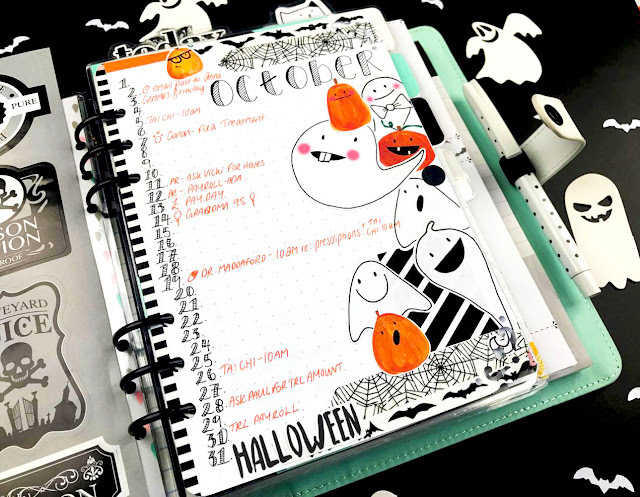 As requested here is the flip through of my week two in my October daily memory keeping journal. I hope you enjoy! It might be October, and half the world is preparing for Autumn or Halloween, but here in Australia, we're moving into Spring and while I wish Halloween was more of a popular holiday here (it's my favourite), I don't often decorate Halloween-style until a bit later in the month. Which is completely okay - because it means I get to use these gorgeous September Garden stickers that came in last month's box. 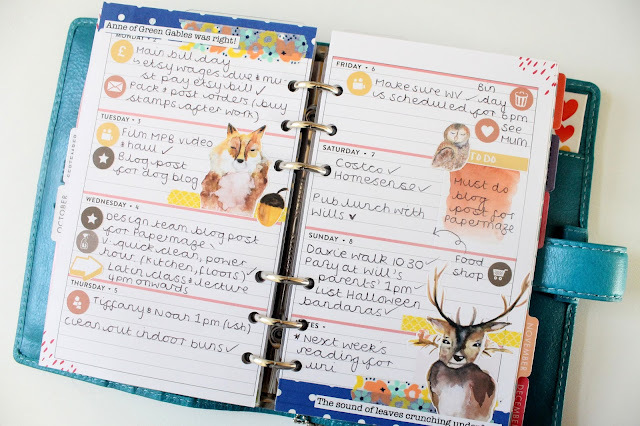 There's nothing overly fancy about my layout - in fact, this is a style I don't use very often any more, especially using washi tape strips to divide my planner sections. I used to do it all the time, and it was nice to revisit it. I think it turned out very calm and ordered, with plenty of space to write in everything that needs to happen in a week. I layered a lot of the floral stickers together - I wanted to create a garden effect, and that meant sticking things on top of one another. I even chopped off bits to have them go right to the edge of the paper! I know, it can be hard to do when you want to showcase how wonderful all the stickers are, but it can make it look very organic, too, like the pictures extend beyond the paper. As always, I have a process video for those of you who like to see how planner decorations come together. 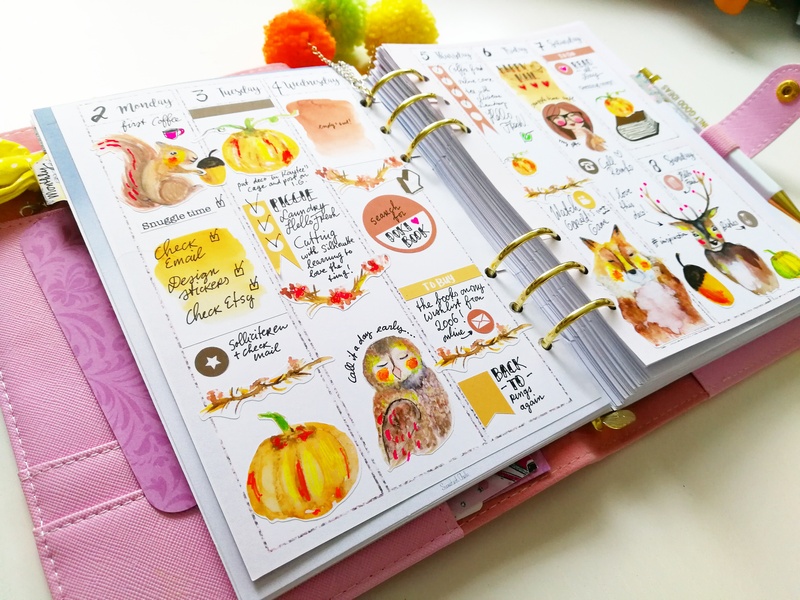 I, personally, am more of a decorative planner, rather than functional (I tend to bullet journal inside my planner, so this suits me perfectly fine!) 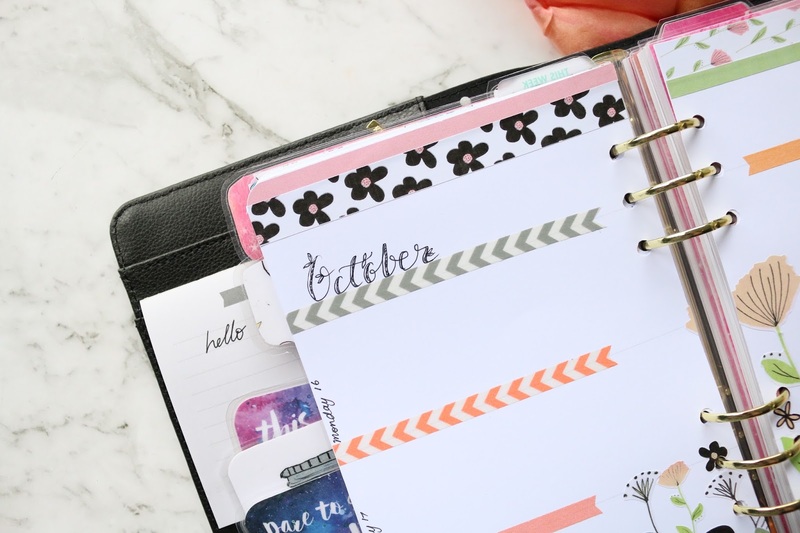 My planner is my scrapbook and journal and checklists all rolled into one! 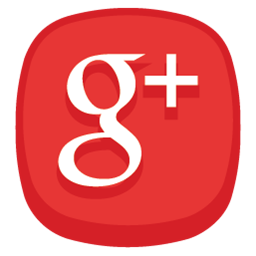 You can find me all over social media, including Youtube, Twitter and Instagram and I hope you'll stop by for a chat. I hope that wherever you are in the world, you're having a wonderful day. Happy planning! 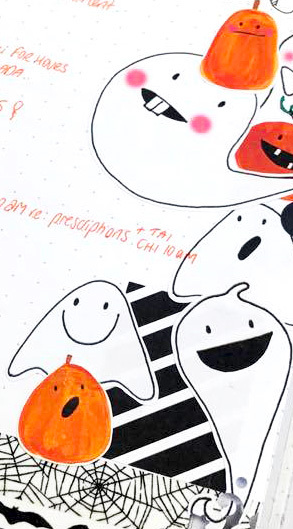 Chloé here again, sharing my October sticker kit project. 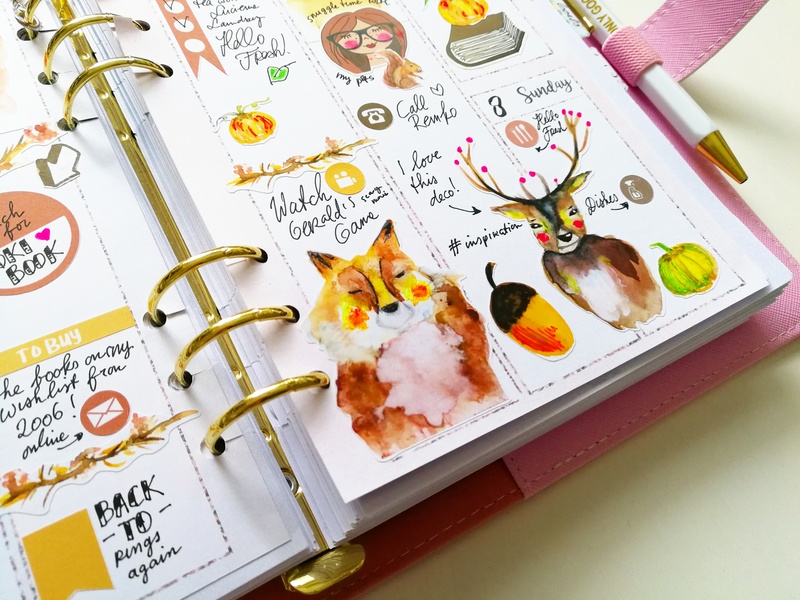 I absolutely adore the woodland creatures in this kit, and couldn't wait to use them in my planner! I like to decorate my pages, but I prefer to keep it reasonably simple. The Brimbles sticker kits are perfect for this, as they include a fab mix of functional and decorative stickers. How beautiful do the decorative animal stickers look?! 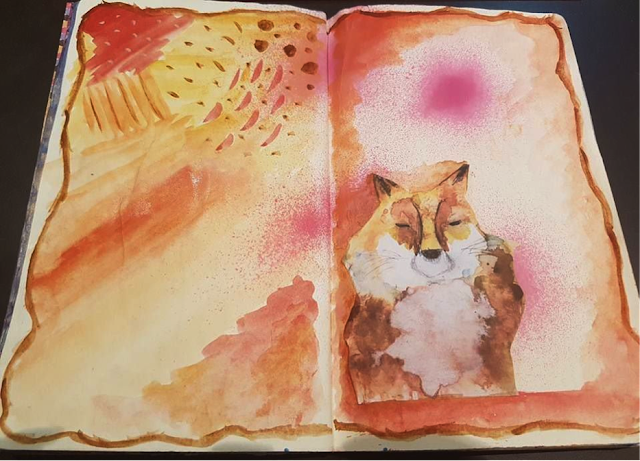 Anna absolutely knocked it out of the park with this kit, and I just can't get enough of that watercolour fox. It's just gorgeous! I had a lot going on this week, and I definitely made the most of the functional stickers. 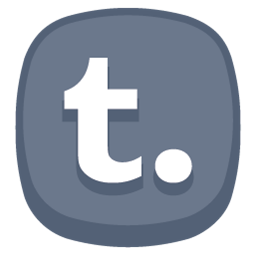 There's an icon for everything, and they're perfect for quick to-do lists. 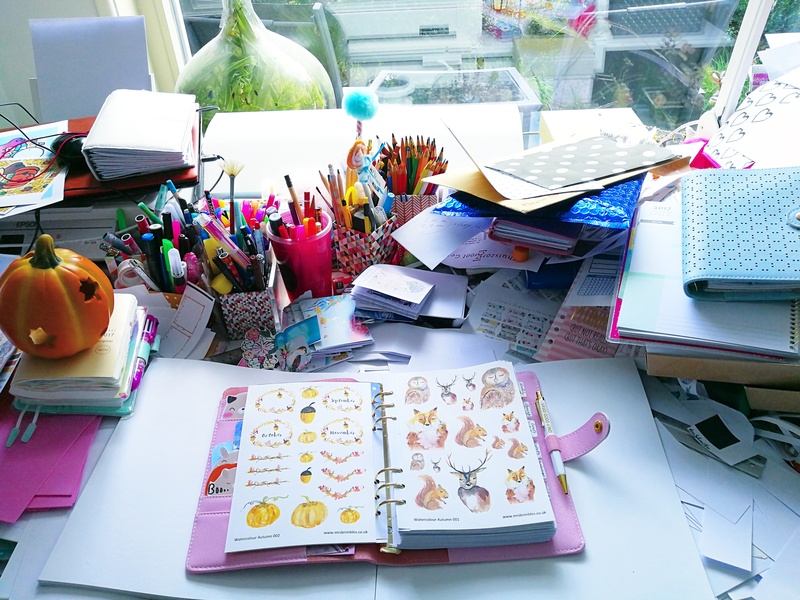 Often, I can quickly glance at my planner pages and remind myself of my daily jobs purely from the icons! 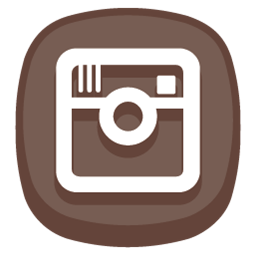 I hope you've enjoyed seeing this month's project: you can follow my social media for more crafty goodness! I'm doing October daily this year. Here is my week one flip through. 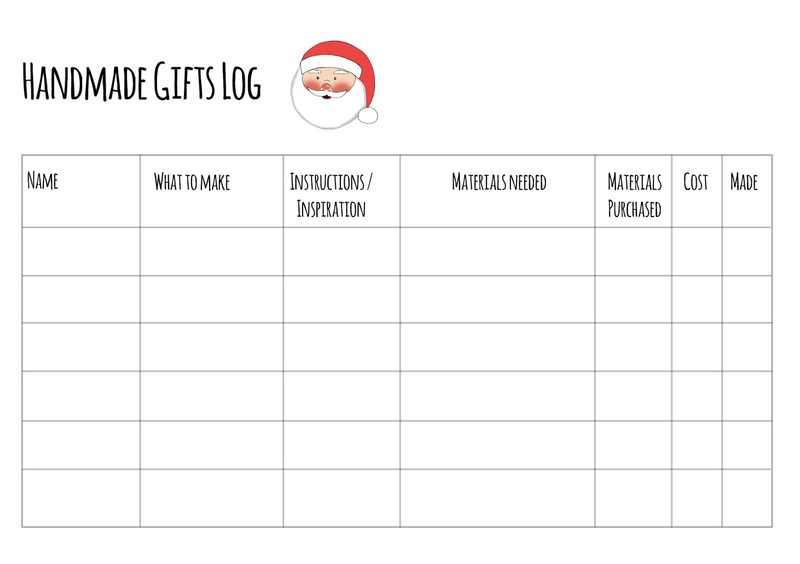 I see a lot of posts in the planner and creative journal groups asking for ideas on using their printables, papers and creative kits. 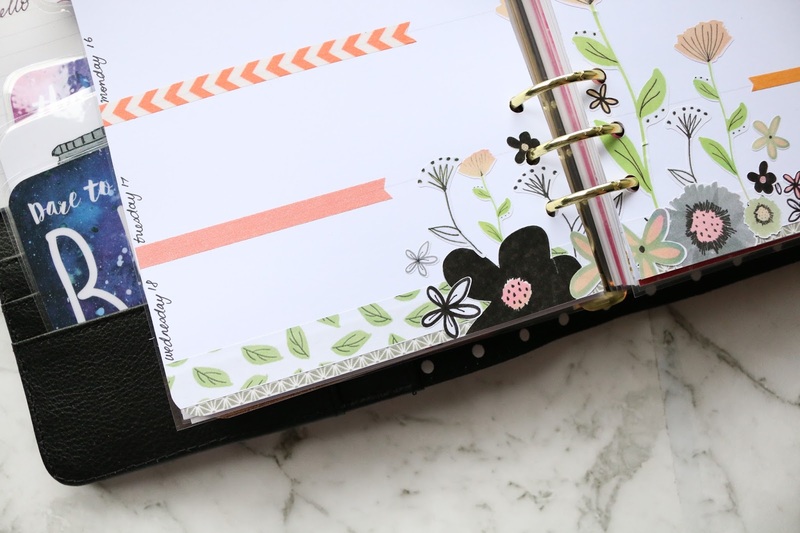 For this post I am using Anna's patreon resources (workshops, videos and printables) to give you some inspiration on how you might use them in your own planners, creative journals, art journals and on memory keeping pages. 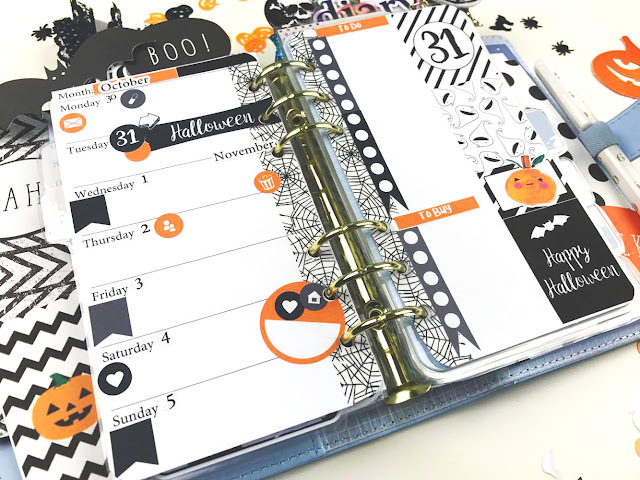 The October printables are stunning. 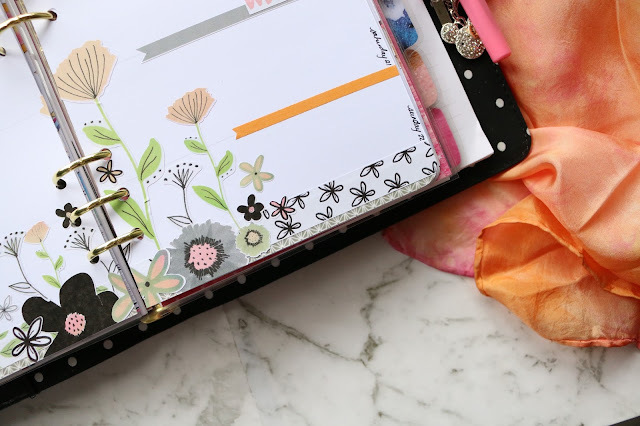 I created a post last week using the canvas style printables where I created a Flower Art Journal Page, so I wanted to create a smaller page spread for my creative art journal to maybe add some memory keeping to. 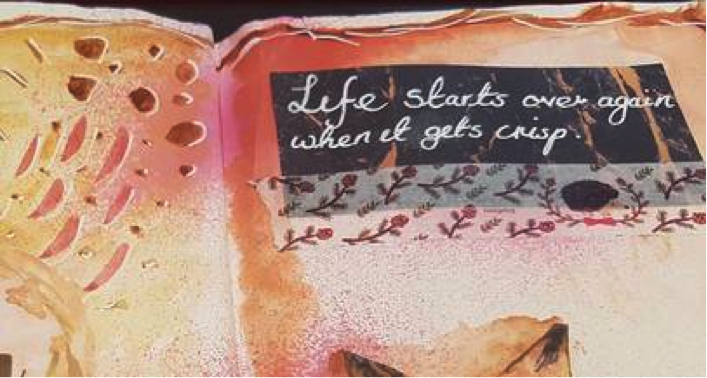 I started by adding some watercolour and alcohol ink in Autumnal colours to the page. I then added the amazing watercolour fox printable and added some definition to this by adding a darker colour behind it. 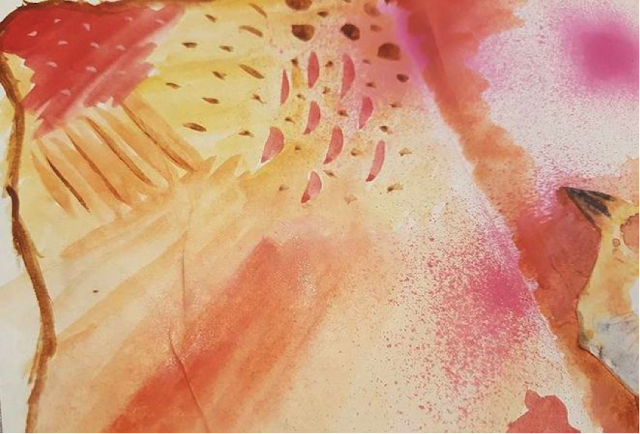 I wanted the watercolour to be a bit more abstract than my usual style, so added a few swirls and splodges in watercolour to add a bit more interest to the page. 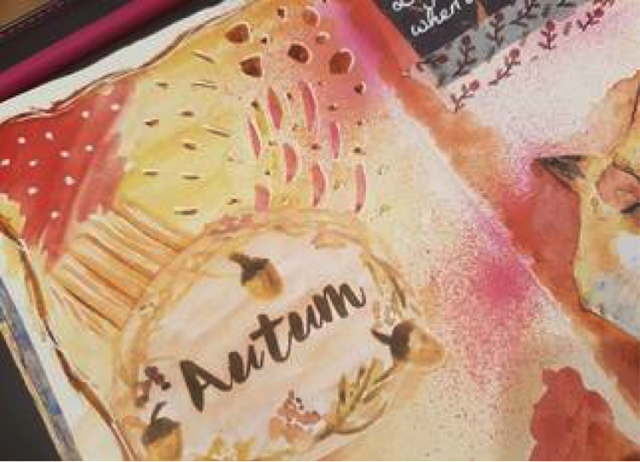 Next I added the Autumn printable brush lettering header and painted over the white in the same colour paint I had used on the page. I added embellishments of autumnal washi tape, a cut out from a Brimbles Box scrapbook paper which I added an Autumn quote to in a white posca pen. Lastly definition was added by drawing an outline to frame the page in brown watercolour and used the white paint pen to draw out details on the page. 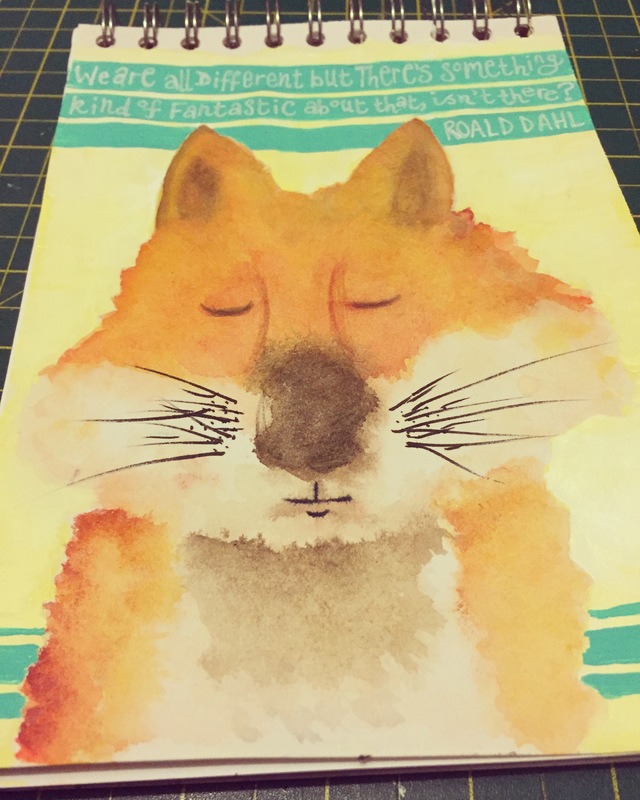 I love the result of the vibrant colours and that cute Mr Foxy. I won an Instagram prize a few weeks ago: The Little Bullet Book, which is stunning and wanted to make a start straight away. I used Anna's Patreon Printables to accent the page and it has really made the bujo spread pop. 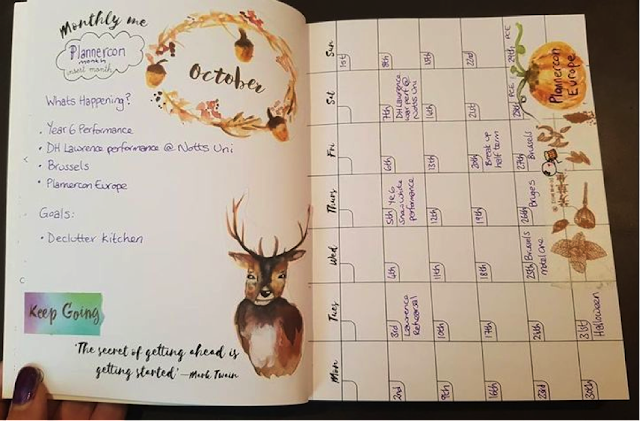 I love how the October header sets off the page and that stag is soooo beautiful. 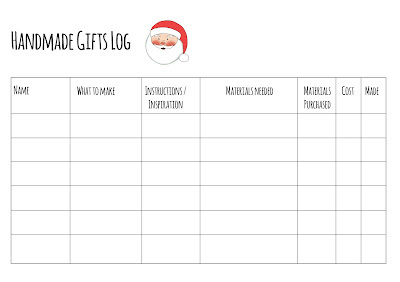 I love how the page is simple but effective; I can't wait to get planning. I have a busy month ahead, but I get to end it all in Brussels for Plannercon Europe. My final make was to update one of my pocket dashboards. 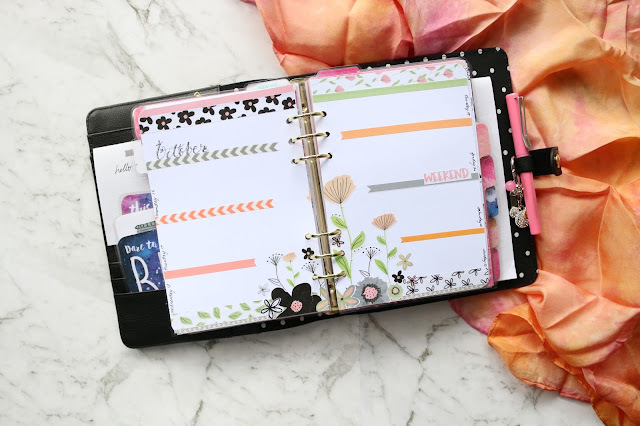 I used a tutorial from a UK Planner to make a dashboard pouch pocket a while back and had already added the gold spray around a flower embellishment from a Stamping Up kit. Anna's bear from the collage sheet and an acorn. I again used a white paint pen to add the Happy Autumn writing. 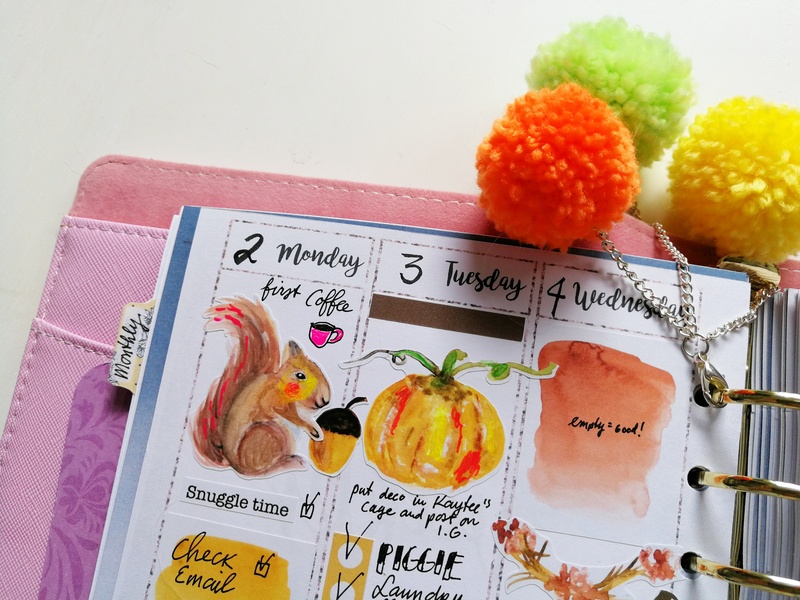 I love my Autumn set up and have got so much use out the September kit. It is now used in my planner, bullet journal, creative journal and an art journal. 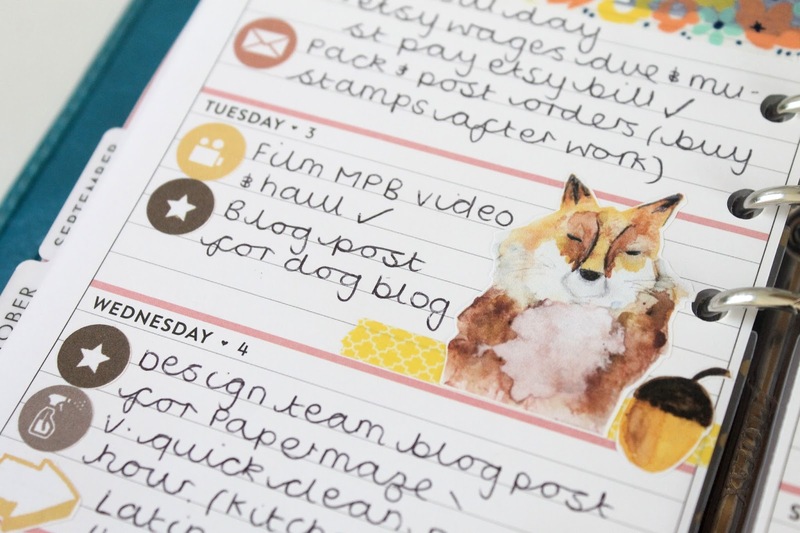 Hopefully you will be able to give some of these a go and maybe it's given you some ideas as to how you can use the collage sheets in your own planning and creative works. There are so many options, so don't hold back. 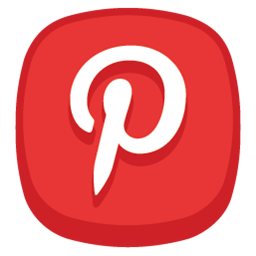 printable images can be used in anything you do, you just need to go with the flow and don't overthink it. I now feel a scrapbook page coming on for my next little project. PLEASE NOTE: I was given this / these product(s) in a raffle. The fact that I was given these does not alter my opinion in anyway. This review is my own personal opionion on the product / company, given in good faith and has not be sponsored or endorsed. None of the links are affiliate links. Unless otherwise stated, all photography is my own. With regards to the inserts...PLEASE NOTE: I was given this / these product(s) in exchange for my honest review and opinion, the fact that I was given these does not alter my opinion in anyway. This review is my own personal opionion on the product / company, given in good faith and has not be sponsored or endorsed. None of the links are affiliate links. Unless otherwise stated, all photography is my own. I thought I would make some gifts this year for Christmas so here is a video from me explaing what and how etc. I also show you how to make sloe gin and presents I have bought so far. If you would like a copy of the insert for yourself you can download it here. Please note this is for personal use only and not to be sold either as a digital file or printed. 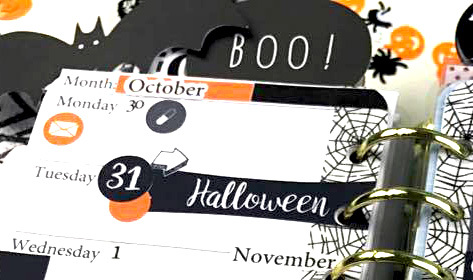 Check out these Halloween planner inserts! October may well be my favourite month - it's when Autumn really begins for me (rather than 22nd September! ), and it has Halloween! 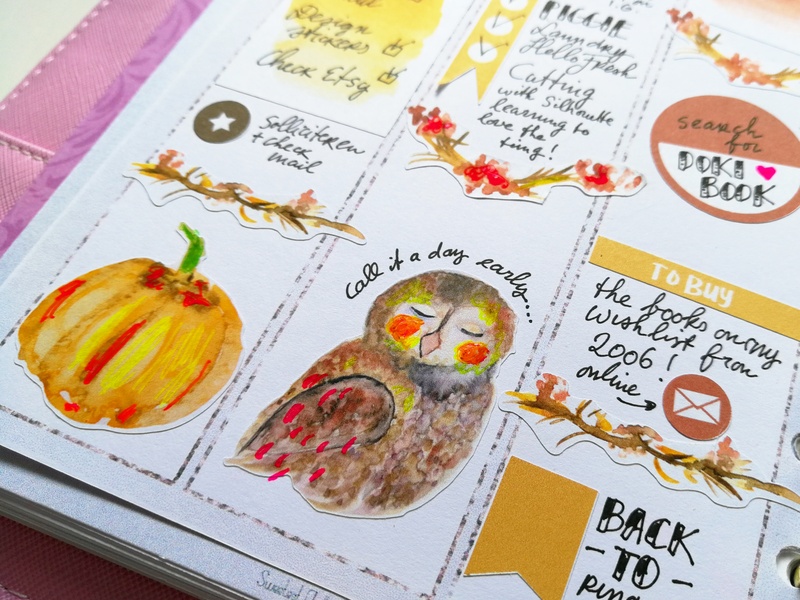 Because I love both Autumn and Halloween, when Anna offered the Sticker Club Design team a choice of either the lovely watercolour autumnal stickers or Halloween stickers, I was really torn. But Halloween won in the end, I just love it so much! If you'd like to see the sticker sheets in more detail, then I have a video of them here. As per usual, I started off with planner pages; this time back in my personal size. It's very unusual that I decorate so far in advance, so it felt a bit surreal (spooky?!... I'm sorry, that was awful!). It also meant I wasn't really able to put any 'plans' in, so you're very much getting a 'before the pen' spread. After that I decided to do another bullet journal-esque monthly page. 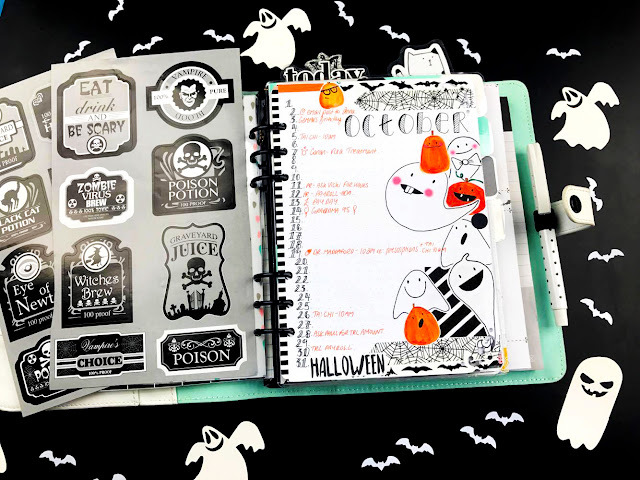 I'll be honest, when I did the same thing last month I thought it would just be a cute and fun way to use and showcase the stickers, but it ended up being an extremely useful page to glance at and reference, so I think this will be a permanent addition to my planner! And of course I had to write in orange pen - it's not often you get an opportunity to do so! Plus I got to do some serious sticker clustering! 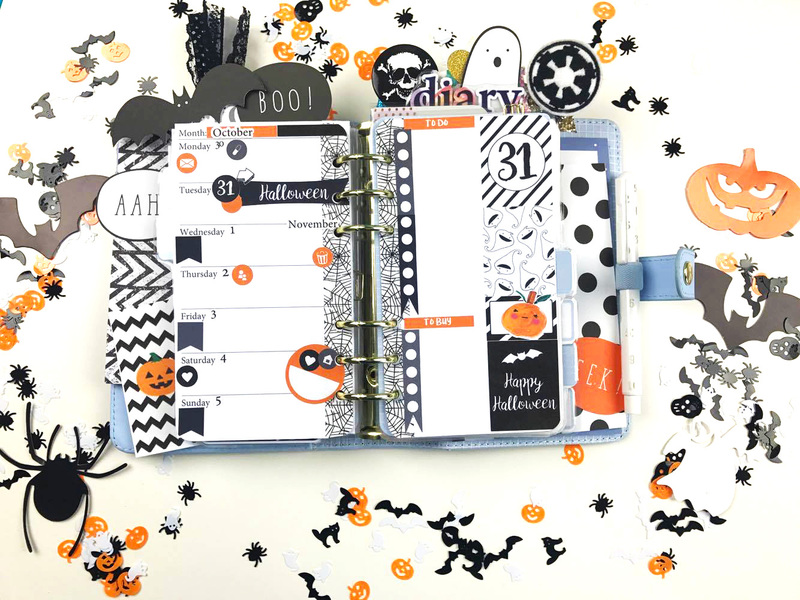 Both the cobwebs and bats washi were purchased from Anna's shop last year, and unfortunately are no longer available. But if you go to the Autumn/Halloween section in the shop you'll find some similarly spooky tapes! 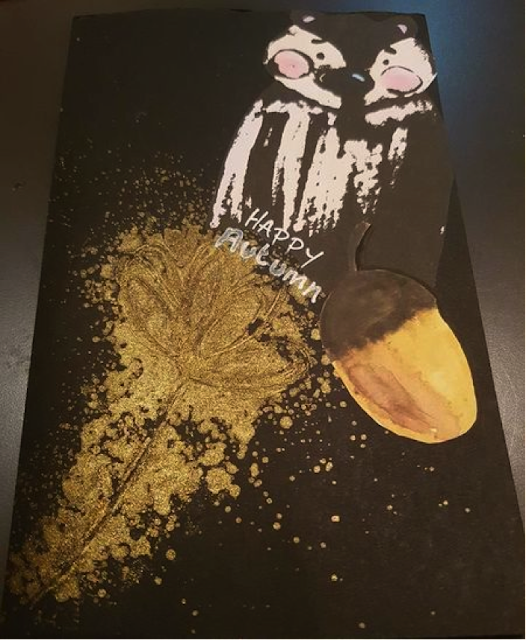 My last project was a decorated happy mail envelope. 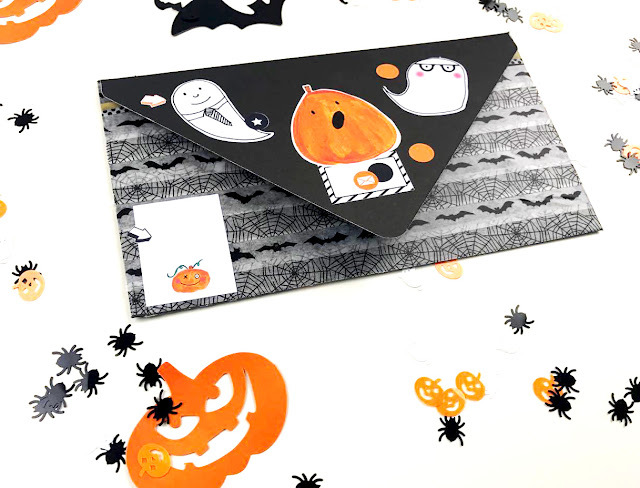 I have a pen pal who I think will really appreciate and share my love for Halloween, so I've got this ready for the next letter I send her. On the back I put one of the full boxes that I didn't use in my planner decoration, and I'll write my return address on that when the time comes. 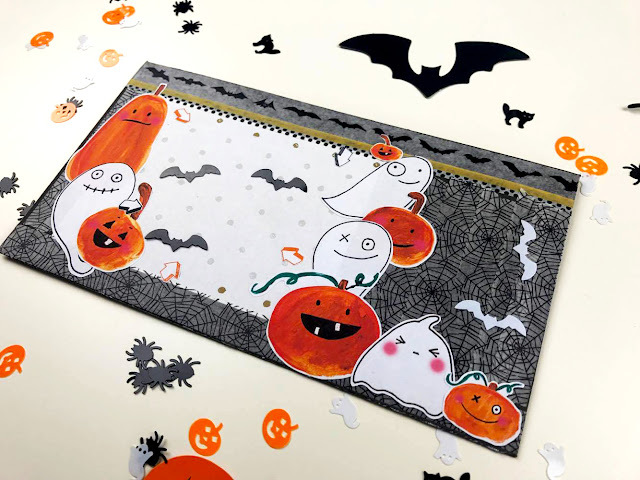 If you like the look of all those black, white, and orange sequins, then you can get some very similar in Anna's shop: the Spooktacular Sequin Mix. And there we go! Thanks so much for reading, and Happy Halloween!